Soon, our friends across the pond will enjoy two circle pads instead of one. 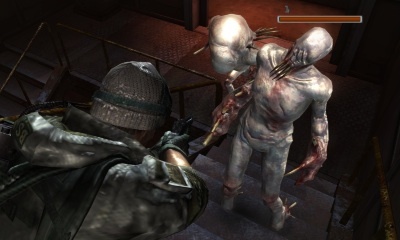 Capcom's Resident Evil: Revelations hits Europe January 27, and with it, Nintendo's Circle Pad Pro attachment for 3DS. Killing these things would be so much easier if we had two circle pads, right? Right? Turns out, the game will be available by itself, as well as part of a bundle that also includes the peripheral that adds another circle pad (hence the name) to the system. Unfortunately, Capcom has no plans to release the bundle in the U.S., nor do we know when the Circle Pad Pro will appear.